It was not the explosion that hurt his ears. It was the silence. In the aftermath, as dust, metal, and body parts settled, he heard nothing but silence. No screams of pain, yells of frustration and retaliatory gun shots. The land mines seemed to have taken everyone, both friend and foe. If Wang Yao was a regular soldier, this battlefield would have been his burial ground. But as a nation, he was instructed to stay out of danger, taking on the role of observer and only if essential, second-in-command. Battle after battle, war after war, he watched his countrymen sacrifice their lives in gruesome ways to satisfy his leaders’ ambitions. Sometimes, it was mandatory, but sometimes, he wondered about the necessity. And this was one of those times when he wondered if he had made the right choice to participate in the Korean War. After all, his people were risking their lives for his siblings, not their own homes. Yao crawled out from his safe sanctuary, trying to sort out what had happened. In front of him was a silent film of devastation. The commander seemed to have taken the worst of it. He would not have recognized him if not for his rifle – one of the newest and most advanced rifles developed by the Soviet Union, sent to the Chinese military just days ago. He remembered that the man had been over the moon upon being one of the few military personnel to have the honour. He had taken off with it almost immediately to examine its workings. He liked it so much that he had asked to be buried with his rifle should fortune disfavour him. Sadly, Yao would not be able to fulfil even this last wish of his. There was too little left of him to be buried. It had been several months since he fought in the Korean War. While his army had prevented his communist sibling from being taken by the enemy forces, the war had been difficult. Resources were running low, victory was no where in sight, and many lives were lost to the atrocities of war. If Ivan Braginski had managed to persuade his boss to give greater attention to the war, would the outcome have been different? Certainly. Ivan was stronger, wealthier and more powerful than him, a superpower of equal status to Alfred Jones. The self-proclaimed hero would have thought twice about a direct confrontation with him. If Alfred decided not to interfere with the war, he, too, would be able to leave the twins alone to fight it out among themselves. Yao could not help feeling bitter. He trudged wearily through red mists and mangled bodies, hoping against hope to find survivors. The acrid smell of burning scorched his nose. The battleground was a small one, but the soldiers on both sides had been liberal with the use of land mines and grenades. Land mines were quick ways to destroy large numbers of enemies, but with an untimely or flawed command, could backfire badly. A dust cloud rose slightly, catching his eye and jolting him out of depressive thoughts. He moved towards it, and saw the silhouette of a person sitting up in a pile of bodies and dust. Upon closer inspection, he noted that his face and uniform were covered with muck and blood. Yao found it almost impossible to distinguish him from friend or foe, but those brown eyes were remotely recognizable. Yao moved towards the soldier, who did not welcome his intrusion. With startled eyes, he raised his rifle at Yao. If Yao was not trembling so hard himself, he would have noticed that the rifle was shaking too. The soldier shouted something in Korean. Yao stared into those wide-open brown eyes, the weight of the rifle slung across his shoulder turning negligent. In the past months of fighting the war, he had never seen an enemy soldier so up-close. It struck him with pain how close yet so far they were. Those brown eyes used to sparkle at the sight of him as their owner sought to tell him about his latest “invention”. “Yong Soo, don’t you know me? I’m your Aniki,” Yao implored. The young soldier quaked, but trained his rifle on him resolutely and continued shouting at him in foreign tongue. “Your arm is bleeding profusely! You should remove your rifle aru!” Yao lurched forward to help him. The soldier’s eyes grew wilder, his shouts more enraged. A loud ‘click’ issued from the trigger as he gave it a definite pull. A ear-splitting shot rang out as Yao fell over on his side. A second ‘crack’ exploded, much louder and clearer than the first one. But Yao could not see what or where it was aimed at. Something large rolled him over and pressed against his body, obscuring his view. One shot. Two shots. Three shots. Then silence once more. The pressure on his body eased. When Yao rolled over on to his side, he found himself staring into familiar violet eyes, fretful and petrified. “Yao, are you all right?” Ivan cupped his lover’s face in his hands and brushed aside stray strands, trying to look for signs of head injuries. Yao shook his head fervently. “We should get away from here quickly. There may be more land mines that have not detonated,” Ivan put his arm around his comrade’s shoulders to help him sit up. Yao inhaled sharply at the sight of the young Korean soldier who had tried to shoot him earlier, sprawled on the ground, feet away from them in a pool of blood. “You… you shot Yong Soo aru?” Yao asked in a quivering voice. “What Yong Soo? Do you mean that Korean soldier who nearly killed you? He’s not your brother!” Ivan said. “Aiya I haven’t got breasts,” Yao grumbled. “Your brother thinks you’ve got breasts,” Ivan said irritably. He disarmed Yao of his rifle and slung it over his back. It joined his own rifle with a clatter. Then he scooped Yao up in his arms. Ignoring feeble protests of “I can walk by myself”, he hurried away from the catastrophic battle field. For what felt like a long time, Yao could not see where they were headed for as his face was buried in Ivan’s chest. His only indication of progress was the rapid rustling of leaves as Ivan crashed through leafy undergrowths, his frenzied heartbeat pounding into his ear. He hoped they had managed to shake off the enemy soldiers, if there were any. If Ivan got hurt because of him, he would never forgive himself. Suddenly, but gently, Yao found himself deposited on flat surface. He looked up to see Ivan huffing and puffing away, a hand clutching his side. “I think we’re safe,” Ivan panted. Gesturing at Yao to stay still, he ran a few feet ahead and explored the surroundings. Yao looked around anxiously, his hands nervously clutching the edge of a tree stump that Ivan had perched him on. They were in a small clearing surrounded by canopies of dense trees. Yao nodded in acknowledgement of the good news. “Err… I don’t know, I just ran in what my instinct told me was the safest direction,” Ivan scratched his head sheepishly. Yao’s lips twitched in annoyance, but he suppressed an angry retort. After all, Ivan had just saved his life, risking his own life in the process. “We should make our way back to camp. I have to report the outcome of the battle to the other commanders as soon as possible so that we can strategize the next step aru,” Yao explained as he made to get up. A sudden sharp pain surged through his legs, causing him to sit back down onto the tree stump. “What’s wrong?” Ivan observed the grimace on his lover’s face with concern. “I think I might have sprained something,” Yao looked at his foot with a troubled expression. He bent over and undid his boot laces, Ivan squatting down by his side to help him with the other boot. When they had removed his boots and socks, they discovered an obvious swelling on his right ankle. “You must have sprained your ankle when I pushed you over just now,” Ivan said apologetically. “It’s all right, you can carry me back to camp I suppose,” Yao stood up gingerly, resting his weight on one wobbly foot, but Ivan gently pushed him back onto the tree stump. “You should rest. You don’t look well at all,” Ivan chided. He sat down beside him and put his arms around his shoulders, lest he tried to stand up again. “But the battle…” Yao cried. “Don’t worry, the enemy has suffered losses too. They will need time to evaluate the situation. It wouldn’t matter even if you report back a little later,” Ivan consoled him. “I am fine. Well, I guess I don’t feel fine, but I am fit enough to move around,” Yao insisted. He grabbed Ivan’s elbow to shove his arm off him, and drew a loud wince from his comrade. “You’re hurt?” Yao demanded as Ivan brought a hand to his elbow and covered it protectively. Yao pushed his hand away and drew a sharp intake of breath. His clothes were torn at his elbow, revealing a bloody gnash that was bleeding slightly. “Oh Ivan! How did you get this? Why didn’t you tell me you were hurt aru!” Yao studied the wound intently, his face fraught with anxiety. “Don’t panic, Yao, I probably scratched it on some metal debris while rolling on the ground just now. It doesn’t really hurt,” Ivan patted Yao’s shoulder. Ivan’s face blossomed into a wide grin, and he eagerly unbuttoned the top of his pants. “I meant your coat and shirt,” Yao smacked him on his good arm. “Aww~ I thought you wanted to make love to me now and cheer me up,” Ivan pouted woefully as he reached for the button on his coat. “How can you still have a mind for such things when you’re injured and bleeding?” Yao pursed his lips. He was relieved that Ivan did not appear to be in much pain, but annoyed by his careless attitude towards his own wellbeing. When Ivan had removed his coat and inner shirt, Yao took a good look at his torso to check if he had attained injuries elsewhere. As his eyes traced over Ivan’s well-sculpted torso, he could not help feeling a little indignant. It had been awhile since he last saw his naked body clearly; since the war began, they only had time to sneak in sporadic love-making sessions inside Yao’s dark tent. Ivan’s six-pack seemed to have gotten bigger and firmer, despite the fact that he had not been hard at work dodging bullets and bombs on battlefields. Feeling Ivan’s curious stare on him, Yao hastily averted his eyes and tended to the wound. To his relief, it was a shallow cut. He tore a strip of cloth from Ivan’s shirt and pressed it against the wound for a few seconds to ease the bleeding. Then he tore another strip of cloth and wrapped it around Ivan’s elbow, tying the makeshift bandage into a tight, neat knot. “Da,” Ivan flexed his arm. “You’re really good at these motherly roles,” he smiled slyly. “All right, just joking, Mr War Hero,” Ivan snickered. “Ah, don’t say that, Yao. You didn’t have a choice,” Ivan wrapped his arms around him comfortingly. Yao rested his head against his lover’s broad chest. It gave him a strong sense of security and he felt his racing heart calm down. “Ivan, why do you think humans like waging war on their fellow humans aru?” Yao asked with genuine perplexity in his voice. Ivan looked down at him in surprise. The older man usually imposed his views on life on him, rather than consult him on philosophical questions. “Can it really be progress when so many people’s lives are too broken to enjoy the supposed benefits aru?” Yao looked up at him, his eyes reflecting melancholy. Yao sighed. When they first became lovers, Ivan was content with passionate coupling. In recent times, however, Ivan’s appetite had become insatiable, and he had started dropping obvious hints about wanting Yao to move into his house again. This would mean denouncing Yao’s independence, which was obviously out of question for the proud nation. Still dependent on Soviet aid, Yao simply avoided the topic as tactfully as he could. He would give him a piece of his mind if Ivan started blatantly asking him to become one of his satellite states. Ivan’s watery seal pup eyes filled with indignation and sorrow. He looked so much like a school boy who had been unjustly punished by his teacher that Yao felt his heart melt with sympathy. “I’m sorry, Ivan, I never meant to blame you, and I’m truly grateful to you for saving my life. Don’t look so sad aru,” Yao stroked his disheartened face tenderly with his fingers. Ivan did not cheer up, but merely continued to gaze at him dolefully. “Who says we don’t have relations da? Your brothers are my brother-in-laws!” Ivan cried indignantly. “Yes, it’s a Treaty of Friendship," Yao emphasized the last word. "Speaking of which, your boss hasn’t even fulfilled half the obligations of the treaty aru,” he added ruefully. Ivan looked woebegone again, his puppy dog eyes filled with remorse. “Never, it’s firmly etched in my mind,” Yao snickered. “Well, it’s not like you never did anything stupid and dangerous. If I hadn’t arrived in the nick of time to save you, you wouldn’t be sitting here and making digs at me,” Ivan retorted. Yao clamped up, realizing he had no argument for that. He cast his eyes downward to avoid Ivan’s gaze. His gaze fell on Ivan’s unbuttoned trouser top. That man had forgotten to button it back. Tsk. Ivan suddenly grabbed his shoulders, prompting him to look up. “Yao, I can’t convince my boss to give you all the help you need. But the least I can do is to protect you with my life. Don’t ever run off without telling me again da?” Ivan said fiercely, his soulful violet eyes drilling into Yao’s astonished amber ones. Yao stared at him appraisingly, as though seeing him in a whole new light. Yao was dumbfounded. All this while, he thought that Ivan had stuck to him like a leech because he was lonely. It had not occurred to him that the big child had a much more noble reason in mind. Pleasurable warmth flooded his heart. Come to think of it, Ivan frequently accompanied him to the battlefields, even if he usually did nothing more than stay by his side and observe the proceedings of the battles. Yet he had overlooked his thoughtfulness and frequently blamed him for his boss’s shortcomings. He felt his ears grow red, and he hung his head in shame. Almost immediately, gloved hands enveloped his cheeks, lifting his face up firmly but gently. “Yao, don’t you ever dare leave my sight again,” Ivan demanded, his violet eyes blazing furiously. “I won’t aru,” Yao whispered, disarmed by his intense gaze as his stomach gave a pleasurable flip. Their lips met. Ivan’s lips slid over his, feather light. Then he pressed a little harder, his tongue probing at the smaller mouth to open. Yao sighed and allowed his lips to part. His lover’s taste flooded over his tongue, and his warmth seeped clear to his bones. Ivan tightened his embrace around him and pulled him closer. Dizziness set in as Yao found himself melting into his lover’s embrace. One hand splayed over Yao’s lithe back, Ivan held the smaller man against himself. His free hand cupped the side of his slender neck and jaw, and he tilted his lover’s head for better access. Gone were the soft kisses, teasing and restrained, as their lips locked in an urgent, hungry kiss. Ivan stroked sensually along his lover’s tongue, until all they could taste and feel was each other. Goosebumps raced down Yao’s spine and back again, spreading over his shoulders and down his back. His body was awash with heat, his skin flushed. He was acutely aware of Ivan’s naked torso pressed against his clothed one, direct contact inhibited by just a thin layer of clothing. A loud buzzing resounded in his ears as he basked in Ivan’s affections. It was fortunate that he was sitting down. With his knees feeling so weak and his body sensing nothing but Ivan’s touches, he was sure he would lose his balance standing. Overwhelmed with desire, he pressed his lips against Yao’s creamy neck and sucked lustily. A slick hand travelled down Yao’s shirt front, freeing button after button, caressing the smooth skin that was unveiled. “I… Ivan, not here… please…” a misty-eyed Yao pulled away as he tried to use what reason that remained in his giddy head to convince them that this was not right. But Ivan was too quick for him. Realizing that Yao had started to resist him, he pushed him downwards so that he lay sprawled on his back. He crossed his legs over his slender hips, easily straddling him. Yao let out a cry of pain as the edge of the tree stump pressed into his back. “Ivan Braginski! Don’t go in heat as you please aru!” Yao raged. He shoved his hands against Ivan’s abdomen, but the huge nation would not budge. Beaming sinisterly, he ran the tip of his finger over Yao’s kiss-swollen lips. Yao felt his heart thump harder as he saw hunger in his eyes. “I’d like to see you stop me,” he husked, pushing the last button easily through its slit. Yao felt goosebumps erupt all over as Ivan ripped open his shirt. 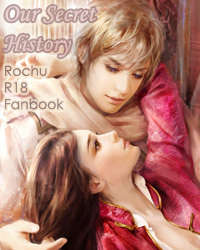 The second chapter is available in my Rochu doujinshi 'Our Secret History', currently up for pre-order. It will also be available in a free pdf version of the doujinshi that will be downloadable here after the book has sold out. The Korean War was one of the joint-battles that Ivan and Yao supposedly fought together. It sounds romantic, but when I read up about it, I realized that the USSR had initially been quite reluctant to help, and it was after much badgering and decent performance in the war by the Chinese army that the USSR decided to be more generous with their aid. China practically gave their all to the war (to the point that they abandoned plans to reclaim Taiwan), while USSR focused on the aerial battles and were less involved than China was in terms of manpower. Thank you so much ^^ Glad you like it!